There are various online cloud storage services which let users share large files. We have also reviewed various peer-to-peer file sharing services. 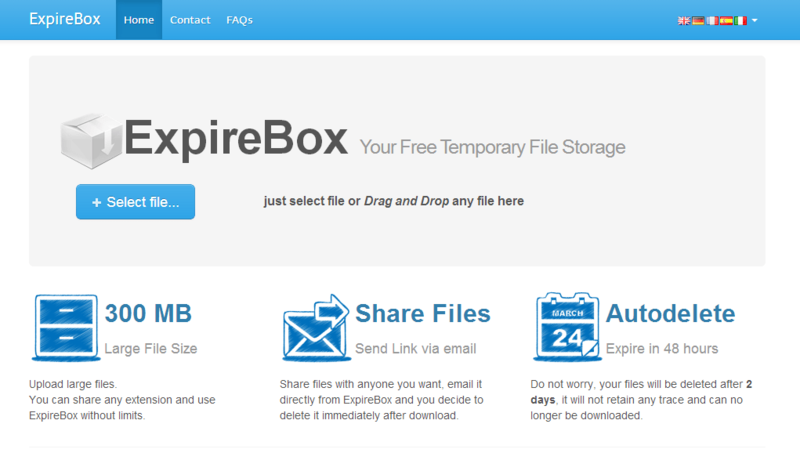 ExpierBox is also a similar kind of file sharing service which lets users share large files with password protection. On ExpierBox, you can upload files up to 300 MB in size and then share it with any one. Good thing is that you can use this website many times a day. There is no usage limit. And your uploaded file will be accessible only for 48 hours. In this way, it provides sufficient time to download your file and then removes it from server. You do not need to remove it manually. But it also gives you a delete link. SO, if you want to delete the file from the server, you can open that link to delete the file. On the home page, it has a big file select button. It also supports drag and drop to upload file. You can upload file up to 300 MB. Once the file is uploaded, it will show you download link and link to delete file. If you want to add password protection, it lets you add that. Below the delete link, there is a check box from which you can enable the password protection. Clicking on that check box will automatically add a password protection in the file and will show you the password. Good thing is that you can directly email this file to your friend from the form given below. Just enter your email address and email address of the person which whom you want to share the file. 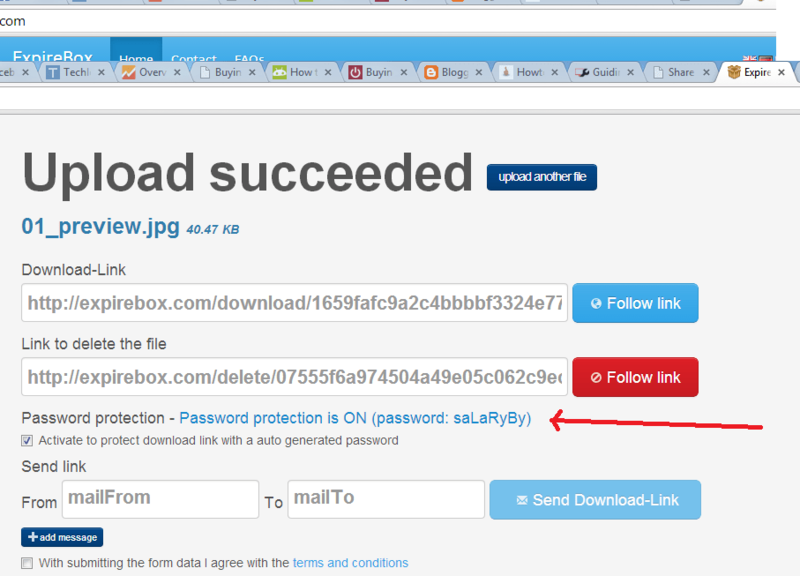 Don’t forget to select the terms and conditions checkbox before clicking on send download button. You can also add a message in the email with the button add message below the email address box. 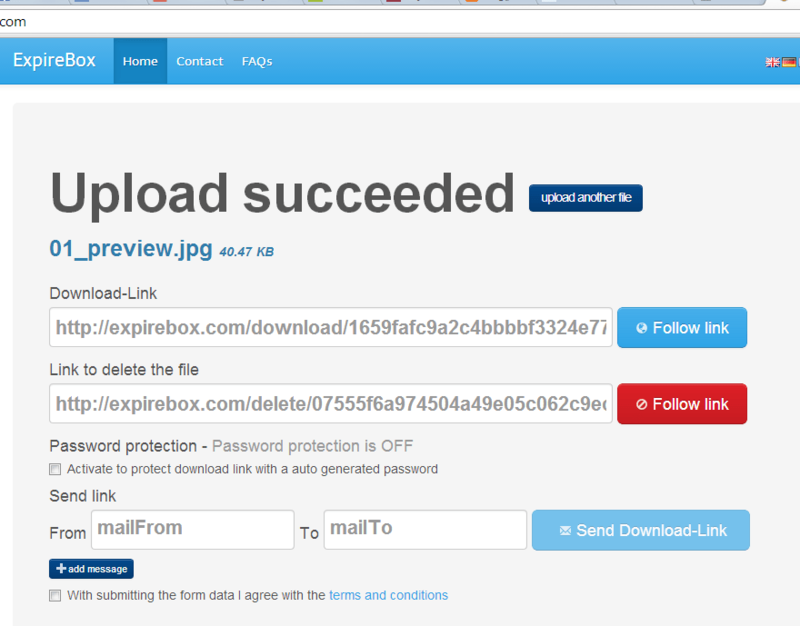 On the otherside, it will send the download link and the password (if added) to download the file. 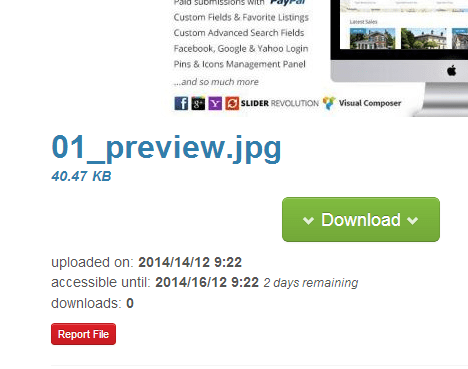 On the landing page, it will display the file upload time and expiry date and time. In this time, other person can download file as many times as he want. The tool is simple and free to use. They also cared about privacy and security. If you do not want to full your personal cloud storage, then you can use this as a temporary storage only to share large files.